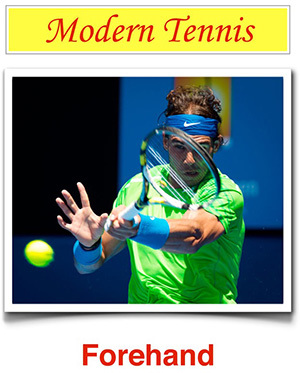 The forehand is definitely the most popular shot in modern tennis, especially among the pros. Even for beginners, this shot often comes naturally and is therefore often used from the start. So let's have a look at what constitutes this cornerstone of our sport. As we saw in the article about grips, there are various different types for the forehand. However, the most suitable grip for beginners is the Eastern grip.